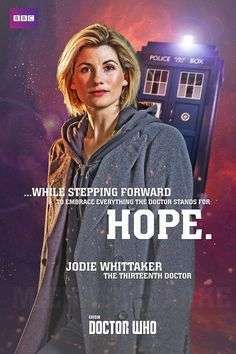 As someone who was fairly vocal about the need for long-running BBC flagship series Doctor Who to seriously address its gender problems, I was pleased, but not overjoyed, when it was announced that the thirteenth Doctor would be played by Jodie Whittaker, the first woman to take on the role. This was announced in July 2017 and while Whittaker effectively debuted as the Doctor at the end of the 2017 Christmas special ‘Twice Upon a Time,’ it will be the autumn of 2018 before the first series featuring the thirteenth Doctor hits our TV screens. This is partly because there are major changes happening with the series as it continues with a new head writer/ showrunner, Chris Chibnall, as well as a new Doctor and companions. As expected, information is being drip-fed as the new team develop a new era. In November 2017 the Doctor’s ‘look’ was unveiled; then in February 2018 the reworked logo; the Radio Times notes that the first episode of season 11 will have an extended running time (65 minutes), and some of the season directors have been announced. So why am I not overjoyed to finally have a female Doctor? Those who, after the announcement that Whittaker would be the Doctor, posted that she would do a great job irrespective of being male or female kind of missed the point. 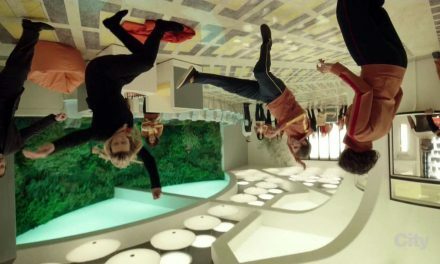 The first part of the title for this blog is taken from the final episode of season 10, ‘The Doctor Falls’ (10.12). 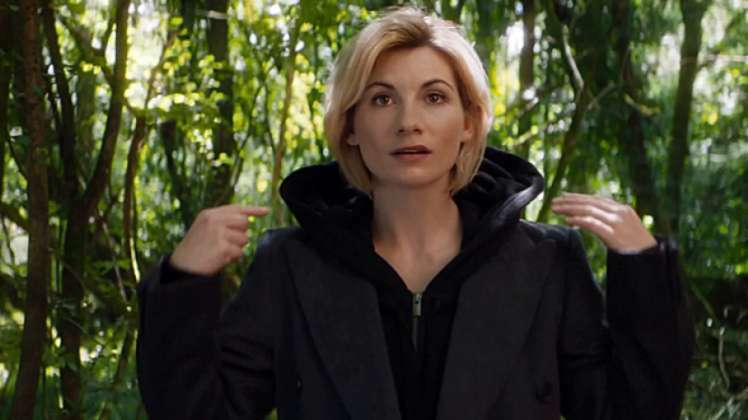 ‘Is the future going to be all girl?’ asks the Doctor’s long-term nemesis the Master. ‘We can only hope,’ says the Doctor. ‘All girl?’ Oh, please. This is only slightly better than comments about the famous Time Lord now being a ‘Time Lady.’ Of course, precedent was set by the Master regenerating as female, played by Michelle Gomez, known—perhaps predictably—as Missy. Missygate brought all the trolls out in a taste of what Whittaker will face as the Doctor. Girls, ladies and Missy. Could the future possibly just be female? We can only hope. Whittaker, to me, is saying all the right things, taking the role seriously and addressing a range of concerns. In comments published on the BBC’s Doctor Who website, she said that being the first female Doctor ‘feels completely overwhelming, as a feminist, as a woman, as an actor, as a human, as someone who wants to continually push themselves and challenge themselves, and not be boxed in by what you’re told you can and can’t be.’ In the same article, she also publically states ‘I want to tell the fans not to be scared by my gender. Because this is a really exciting time, and Doctor Who represents everything that’s exciting about change. The fans have lived through so many changes, and this is only a new, different one, not a fearful one.’ This determined position on gender (more below) is, however, at risk of being undermined by other statements from the BBC. Rather like the Master, some of those commenting seem to be searching for the right terms to describe this shift and finding it difficult to avoid stereotyped language. Piers Wenger, the controller of BBC Drama noted, ‘Jodie is not just a talented actor but she has a bold and brilliant vision for her Doctor. She aced it in her audition both technically and with the powerful female life force she brings to the role. She is destined to be an utterly iconic Doctor’ (my emphasis). I’m not quite sure how this ‘powerful female life force’ is going to make itself apparent in season 11, though Tumblr users definitely have some ideas. Already, comments about the thirteenth Doctor’s costume and the redesign demonstrate that people paying attention are highly aware of the nuances and references at stake in the aesthetics as well as the language surrounding the first female Doctor. 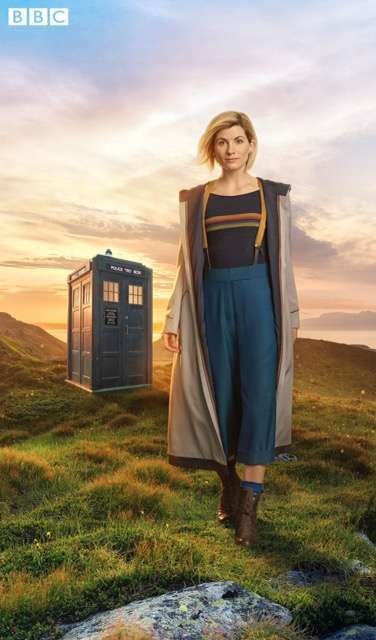 Opinions on the new Doctor’s outfit were somewhat mixed and Ellie Pithers for Vogue UK did point out that braces (suspenders to those across the Atlantic) ‘are incompatible with the female body,’ admittedly in a rather tongue-in-cheek ‘verdict’ on the costume reveal. Both the series title styling and the opening credit have been teased, with Audrey Kearns on Geek Girl Authority, among others, noting similarities between the new logo and the female symbol. BBC Worldwide Executive Creative Director, Rafaela Perera explains, “The Doctor Who logo and insignia are the quintessential signifier for the brand. Our aim was to create modern and elegant designs that were anchored in the things that we love most about Doctor Who”. Her use of the word ‘elegant’ might be considered feminising, and some comments I have seen (from other women) express concerns that the new design is deliberately more organic, again seeming to essentialize or stereotype the ‘female’. Moreover, until the full slate of directors and writers is announced, it is hard to say how well the new team will negotiate issues of inequality behind the camera, or whether Whitaker’s role in front of the camera is expected to make up for the lack of women driving the series creatively. In an interview at the end of December 2017, Sarah Dollard said she will not be returning as a writer for season 11, citing a busy schedule. Thus far, the only personnel known are directors: Jamie Childs and Sallie Aprahamian are both on board though how many episodes they will direct is as yet unclear. How Chibnall, the producers and the BBC tackle the industry’s inequalities is inevitably going come under scrutiny, given the gathering attention it is attracting at key events, from key people. Whittaker herself, along with Suranne Jones, spoke out generally about equal pay at the National Television Awards in January 2018. Yet this is a sensitive topic in relation to her new role. In July 2017, figures about gender and pay showing continuing inequality at higher pay bands were released by the BBC and shortly after the Radio Times, the BBC’s main publication, headlined an article ‘Jodie Whittaker to be paid the same as Peter Capaldi for Doctor Who’ with the information about the gender pay gap buried in the last two paragraphs. Other news articles suggested a rather different story, arguing that Whittaker had ‘insisted’ (The Mary Sue) or ‘demanded’ equal pay (IndieWire) with the implication that she might otherwise not have received it. Additionally, the ‘pay’ discussed here is per-episode salary, and it is not clear whether Whittaker will also receive a cut of other revenue generated by the series. The industry’s problems with gender equality were also highlighted recently at February 2018’s Gallifrey One, which describes itself as ‘the world’s largest and longest-running annual Doctor Who fan convention’. On the final day of the convention, a panel called ‘Gallifrey Waits No More’ brought together female cast and crew from the many years of Doctor Who and the discussion, almost inevitably, perhaps turned to industry inequalities, with panellists sharing their, often painful, experiences. That this panel took place as an official part of Gallifrey One signals how issues of gender have become significant in any public forum, as well as how such discussions quickly tend to turn to both negative experiences from women, and positive ideas about how to move forward. Whovian Feminism’s account of the panel notes its power: ‘You could see the shock, anger, and devastation on each of the panelists’ faces. Over 1,550 people were packed into the room at this point, and every single person was transfixed by what was unfolding on stage. The silence was only broken by the sound of a few quiet sobs as people in the audience wept’. Rachel Talalay, director of many acclaimed Doctor Who episodes from seasons 9 and 10, had previously articulated her concerns about gender, tokenism and her work on Doctor Who, and her notes on the panel are a must-read for anyone wanting to understand this complex issue. The Gallifrey Waits No More panellists are all experienced in being on the receiving end of unequal treatment up to and including harassment and assault. Most of them are also experienced in negotiating such treatment, professionally and personally—but this doesn’t mean they want others to have to do the same. These are the main reasons I am not—yet—overjoyed at the thought of a female Doctor. Potentially, yes, this is a great step forward. In practice, I fear mishandling and there are bound to be stumbles. Having taken the decision to cast a woman, the pressure is on to do this right. 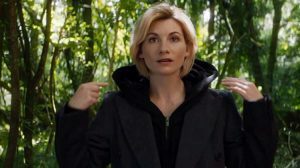 As the thirteenth Doctor, much of the scrutiny will be focused on Whittaker herself, yet she is in control of very few factors that will produce a ‘positive’ female Doctor. She is a successful woman and her casting as the Doctor has, or will, make her a household name, yet she is a woman in a male-dominated industry and a male-dominated society. Therefore it is with hope that she, and I, and millions of others, look forward to her Doctor. If it is true that ‘behind every successful woman is a tribe of other successful women who have her back’, then now, more than ever, we need to have Whittaker’s back. 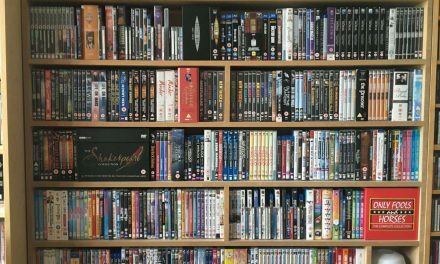 PreviousCfP: post-graduate symposium “Digital Stories: Narratives and Aesthetics in Post-network Media” June 21, 2018 @ University of York (UK). Deadline: April 06, 2018.